Every Etsy store owner needs the essentials to run their small business...the product, the marketing, and the packaging. On the surface those seem easy enough! You already have your product, you have snap shots of it online with a short description, and you pick up the packaging at the UPS store when you ship your orders. But what if I told you you could do this better. So much better, that your sales and value could increase, while your costs for materials goes down? With these 3 tips, you can add value to your product, potentially allowing you to increase the price for a larger margin. You can actually create a packaging experience that will impress your clients, rather than something they just dispose of and forget about. As an individual running your own Etsy business, the most important thing to remember is the EXPERIENCE your customers have when they buy from you. They know that when they shop on Etsy, they are shopping for hand-made treasures. So give them an experience to remember, and they will come back time and time again. The old phrase "a picture is worth a thousand words" continues to hold true, especially when it comes to online sales. A great photograph can sell a product, and a sub-par one can drive potential customers away. Remember that an online customer won't be able to hold your items in their hand and feel the quality and craftsmanship; so it is your job to get them as close to that experience as possible through photo and video. 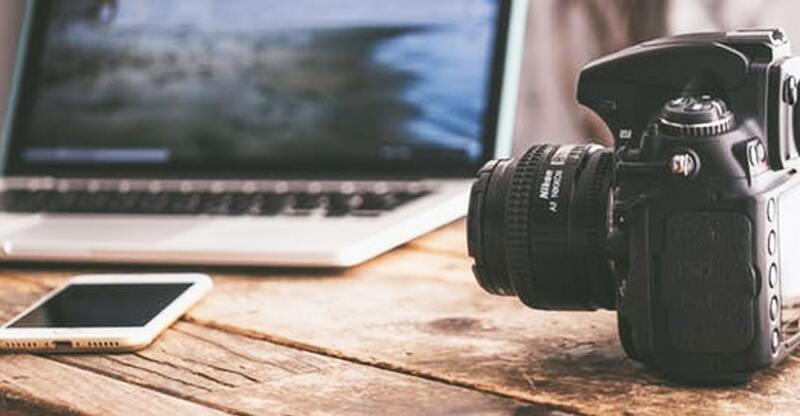 And the great thing is, that creating professional-quality photographs is easier than ever with today's smart phones and a few tools that you may already have around your house. With your smart phone, proper lighting, and a clean background you can take really wonderful photos that will help not only sell your products, but add value and potentially increase your sale price. Use a Phone or DSLR, it Really doesn't Matter - Smartphone cameras have almost made professional DSLR cameras obsolete for anyone other than professional photographers. They are better than ever before, and have so many built-in features and filters that can help easily edit and enhance your photos, without spending a dime on a program. I use a Galaxy S9 for stock photography, export them to my computer, and then edit them in Photoshop, which my company provides for me. But when I am taking personal photos, I will usually edit them with the Photoshop Express app, or even just the pre-installed editor app already on my phone - they are great! This is perfect for direct posting photos and videos to your social media channels as well. Simple Backgrounds - Use a plain white foam board or poster board as your backdrop. The simplicity is beautiful, and helps your product stand out. You can easily make a photo box with foam boards, or use a flexible poster board to create that invisible blend from ground to background. Remember to create a clean viewer experience that allows easy eye tracking and helps your product stand out, rather than compete against it for your viewer's attention. Now that doesn't mean you can't have a fresh green plant off to the side, or a textured backdrop; in fact, certain products sell better with that kind of marketing. Just remember to keep the background simple so your product can shine. Plus, Google prefers clean backgrounds, so you are likely to rank higher with this practice. Take Advantage of Natural Lighting - Natural indirect lighting is the most flattering; it keeps the colors accurate and adds a glow, without harsh shadows; that is why I place my foam boards near a window to take advantage of the sun. I have a set of translucent white curtains that I will also pull shut to help diffuse the light, depending on the time of day. Bouncing that light to help remove shadows and light up the sides of your product is another cool trick; you can do this by just having additional white boards on each side. This DIY light box helps bounce light to all sides of your product. Some people will connect the boards, but I prefer the mobility of keeping them separate (as well as the fact that they are easier to store as flat boards). If you need a little extra lighting, you can use any standing light in your home. Diffuse the harshness of the bulb with a white sheet of paper or tissue paper, and be sure to use a white-tint bulb (rather than yellow; unless you want a yellow tint). or use any lights you have around your house. You can use different angles and use a piece of white paper or tissue paper to help diffuse it and mute out the harshness of a bulb. 2. Create a Gift-Opening Experience! Make the Packaging Memorable - When your customer received their item, they are excited! Yes, your product is the main event, but that doesn't mean you should skimp on the pre-show (i.e. the packaging). 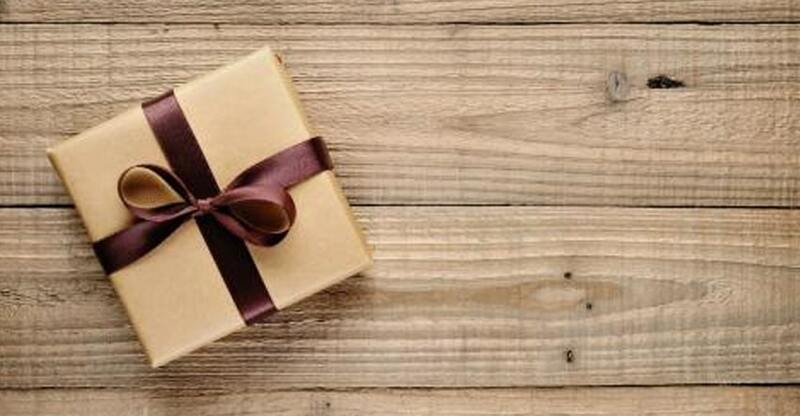 We all love opening gifts, so have a goal of creating a gift opening experience for your customers. Trust me, in an Amazon controlled worlds, this will set you apart! Wrap your items in a pretty tissue paper with a custom printed sticker that has your logo, or simply include tissue paper in toe box! Bonus if it is recyclable! Protect Your Product - I can't tell you how many times I have opened an online order to find that there wasn't enough bubble wrap (or something there wasn't any at all) to stop the item from bounding around the box during transit. Imagine a toddler with incredible strength using your box as a play thing...and package it properly to protect against throwing, dropping, bouncing, and being drooled on (well, ok, maybe that is one step too many). You can buy bubble wrap every time you ship an item, or use paper packing that compacts in transit (offering less protection); but if you add up that cost, it turns out to be quite an expense by the end of the year. Instead, consider using an air packaging machine like the WiAir so you can create protective packaging on-demand, whenever you need it, without needing a ton of storage space for bubble wrap. Give Incentive to Return to your Store - Plus, you will want to add in an incentive for them to come back and buy again from you, because keeping a customer is far less expensive than obtaining a new one. You can include a card in each package, without spending a ton of money or time hand-writing them. Design and print your cards on a nice cardstock that matches well with your brand, and simply hand-sign them. Or upload your signature so that prints as well. Using a card cutter like the manual CardMate (business card size) or the electric CardMac Pro (cuts many different card sizes) is a great solution that can pay for itself quickly. Or use a full size letter and consider adding foil to make it look more expensive than plain printed sheets. Remember to include personality in your card, and make your brand (and YOU) memorable. Offer a deal on their next order, and put a reasonable expiration date on the offer. Or include a free gift! I have ordered from several store owners that send me a patch or sticker with my order, and it always makes me smile! 3. Connect with your Customers! Make a Compelling Shop Video - Using the same simple tools from your stock photography, you can create a stunning shop video for your store. Show your visitors who you are, and be REAL. Online shoppers love to feel connected with the businesses they buy from, so make it memorable, and make it genuine. 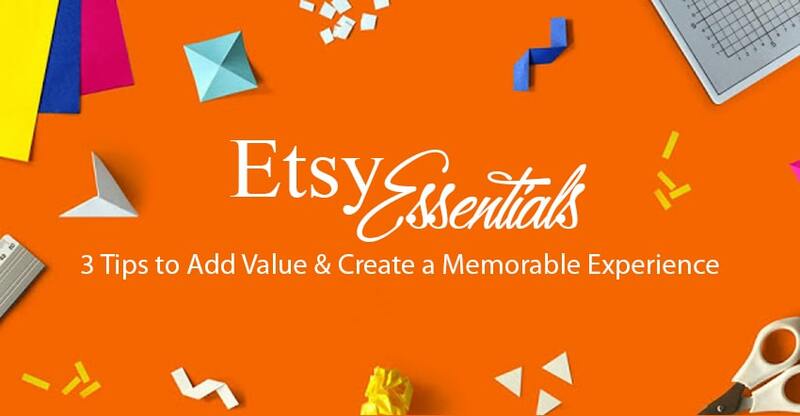 Show of your process, show some popular items, and tell them how to connect with you off Etsy. Use video to market and sell your products on social media as well; maybe create a group that your customers can join for exclusive deals and where they can share what they do with your items. No matter how you use it, video is a great selling tool that search engines and social media companies are holding as higher value, and ranking higher in searches. Include a "Connect Card" with your Shipments - Make sure your customer knows who you are, and give them a chance to connect with you off Etsy. Include your social media handles and usernames in your package, and consider offering an incentive for new followers or those who join your Facebook group. This extends the buying experience from a one-time thing, and opens to doors to new orders for that user, as well as their friends, since their connections are notified when they join new groups, etc. You can use the same cardstock and card cutters that I mentioned above, or even use a rotary trimmer (bonus for a fun cut pattern!). Nearly everything on Etsy is beautiful...people have become so great and making impressive stores and listings that do a great job of selling their handmade items. So remember to add personality to set yourself apart, and remember to think about the entire buying experience, even after you make the sale. With those goals in mind, and implementing the tips we discussed, you will see greater success with your store, and better connections with your new lifetime-loyal customers. Thanks for reading, and happy selling!